I love giving away Amazon gift cards! This time it is for $200! Please read further on how to enter. Good luck. Pregknowsis.com is the perfect website for mom's or women looking for information on trying to conceive, pregnancy & early parenthood. 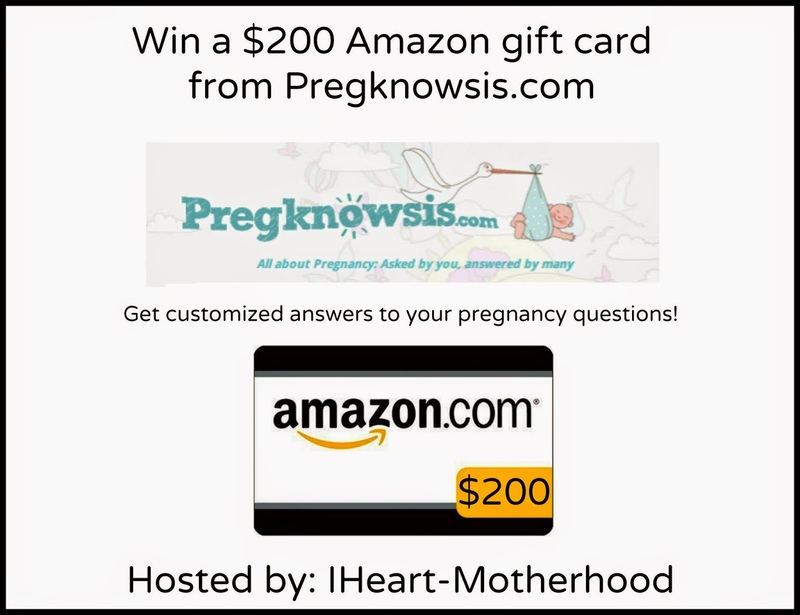 Pregknowsis is built by you, the community, you develop, post, answer poll questions & more! The answers & data are from you & other moms like you, Pregknowsis analyzes the answers & makes it all meaningful for you!